At 10 o’clock on September 5, several refrigerator trucks loaded with nearly 200 tons of frozen pork imported from Canada entered the designated port in Yiwu. The middle part of Zhejiang has many meat processing plants, with a huge demand of imported meat. With high quality and reasonable prices, Canadian pork is very popular among these plants. 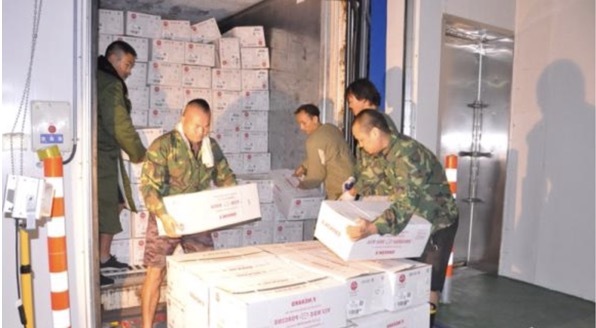 However, before the designated port for imported meat in Yiwu was approved, the plants had to purchase the imported meat from the ports of Shanghai and Ningbo through agencies, which charged high prices. Thanks to the opening of the imported meat port in Yiwu, now the cost of time, transportation, and storage for imported meat is greatly reduced, and it has faster customs clearance.